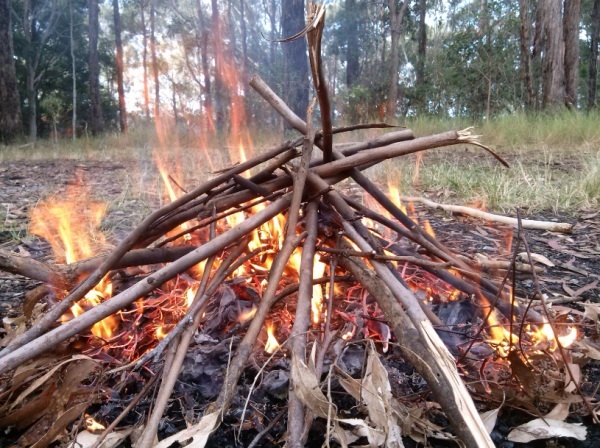 My name is Matthew, I am a young and knowledgable traditional custodian male of the Gumbaynggirr nation on the Mid-North Coast of NSW, Australia. You will usually find me either at, Coffs Harbour or Sydney where together in these two places I have lived most of my life and have grown to have a loving and respected relationship with the community and the natural landscape of each region. I live with an open mind and have interests in all facets of life, and love exploring the unknown to forever expand my knowledge and wisdom. I have accumulated a wealth of knowledge and wisdom about life, death, our existance and the workings of the universe relatively quickly during my lifetime. Apart from my life learnings, I have graduated from a Bachelor Degree in Civil Engineering in 2012 and am now working through a Masters of Learning and Leadership. I have a passion for healing through learning, and applying lessons learnt to practice the art of sustaining and balancing life on earth. I have realised in order to truly give back to the earth we live in, our first step forward is to focus on healing ourselves to become healthy and balanced, we then become better positioned to facilitate the healing of the world around us. I take a holistic approach when it comes to healing myself, nature and other people, and I am forever grateful for the wisdom/knowledge and capabilities my ancestors have passed on to me, that allow me to practice confidently. My philosphy is universal and applies to anything at any degree.. "Listen, Learn, and Heal". So have a scroll through my site and take a further look at the content and decide for yourself if you want to contact me by phone or email to talk some more about what your interests are and how we may be able to support each other and work together. Before I close here I would like to invite you to participate if you will, as I share my acknowledgement, respect, gratitude and honour for our past, present and future custodial ancestors who serve the many of us with authentic guidance. May we learn from their guidance, whether it be via their legacy, triumphs or failures, energetic influence, or through their many signs of communication. May we apply and honour our learnings as we each journey our singular life path and collectively journey our shared eternal path. With much love, respect, gratitude and trust, I leave you to be and do as you will from here. "Listening to the stories of others and sharing lifewide and lifelong knowledge and wisdom to assist in the journey ahead from where we are today." Allow - others to be as they are and feel comfortable. Listen - to others stories, concerns/issues, aspirations & interests. Accept - others boundaries, choices and personalities. Support - others through times of healing/growth/change/conflict. Enable - others to self heal through encouraging healthy thought patterns and establishing internal guidance systems. Guide - others to find and be their own natural authentic self. Share - valuable lifewide and lifelong knowledge and wisdom essential for self navigating on earth with ease and connectivity. Empower - others to go on with confidence to become their ultimate selves, and to live a well balanced life full of peace and fulfilment. I have learnt to overcome my own fears in life and have worked to eliminate negative thinking patterns which allow for a peaceful and balanced state of being. I have experience in identifying the source of problems and an ability to shine new light into these areas to enable the self to heal. I am open to share my knowledge and a variety of methods and techniques that will allow others to maintain health and happiness in their lives. My aim is to provide the knowledge and tools for those to heal themselves and to maintain their own desired level of well being. Life Coaching - Want to excel in life? Looking for self fulfillment? 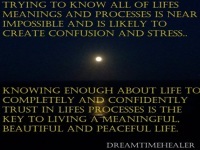 Do you want to discover and fulfill your life purpose? Do you want to find out more about life? Want to expand your self awareness and consciousness? Are you sick of feeling down/depressed/negative? Want an end to pain and suffering? 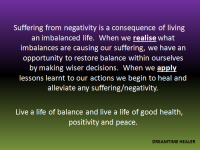 Do you want more balance and peace in your life? Want to remove old/bad habits and replace them with new healthy habits? I have a wealth of knowledge/ wisdom and mind/body training techniques that I am willing to share with you that will help you to excel in any area of life you intend to focus on (whether it be in health and well being, career, relationships, family, parenting, self awareness, spirituality and more). Skype: I am now registered and available for one on one Skype sessions, send me an email with your current location to find out the next available time slot. Mentoring - Looking to make a friend you can count on to be there for you? Or just a person to talk to about anything on your mind? Whether it be a friend to accompany you with recreational activities or just a friend to sit down with you and talk to; I can be there for you. Skype: As mentioned above I am available for one on one Skype sessions, send me an email with your location to find out the next available time slot. For more information and knowledge on self development and life learnings (prior to accessing my above services) I encourage you to have a read of my Knowledge Centre Page, by clicking the link below. If you have any questions and want to find out more leave your contact details below and a brief message of any questions or requests you have, and I will be in touch with you soon.